Peter Christoff is a political scientist and Associate Professor in the Department of Geography, where he teaches climate policy and environmental policy. He was formerly a member of the Victorian Premier's Climate Change Reference Group, and of the Victorian Ministerial Reference Council on Climate Change Adaptation, under the Victorian Brumby Government. He is also currently a Board member of the Australian Conservation Foundation and was its Vice President for eight years. 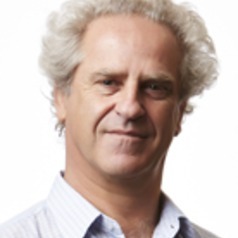 His recent publications include the books 'Four Degrees of Global Warming: Australia in a hot world' and 'Globalization and the Environment' (with Prof. Robyn Eckersley).